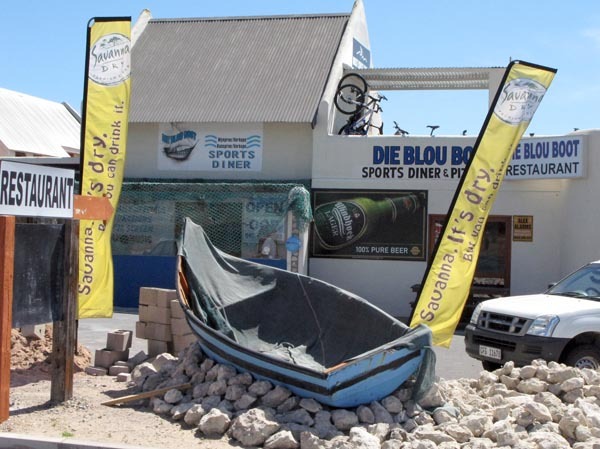 Gone Fishing » Blog Archive » Langebaan 2. 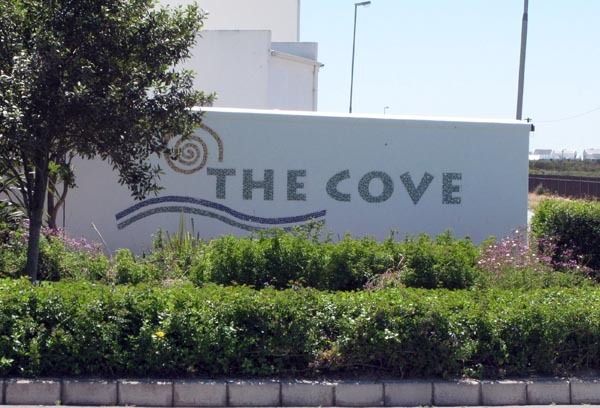 As one drives out of Langebaan town centre, on the road towards Saldahna Bay, there are a number of (newer) developments along side the lagoon starting with one called “The Cove” which is next to Leentjiesklip Caravan Park. 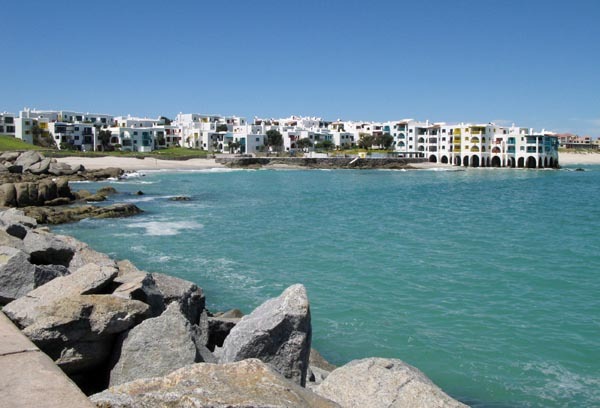 As with most of the developments there are houses right on the edge of the lagoon. The next one along the road is called Waterfront. It is a security gated area and they were not keen to let me in to take photographs. The next turn of takes you to the developments of Blue Lagoon and Calypso Beach. 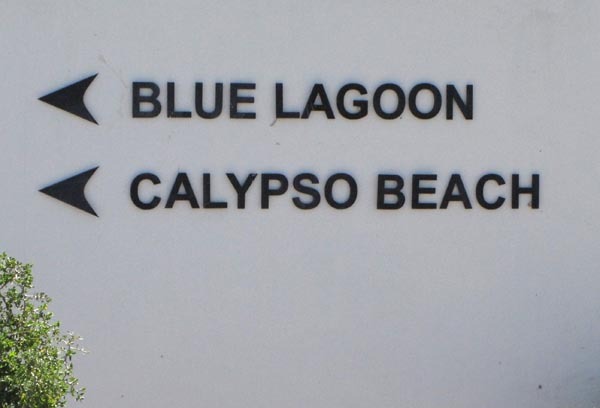 Strangely enough Blue Lagoon has no lagoon side housing but Calypso Beach does. 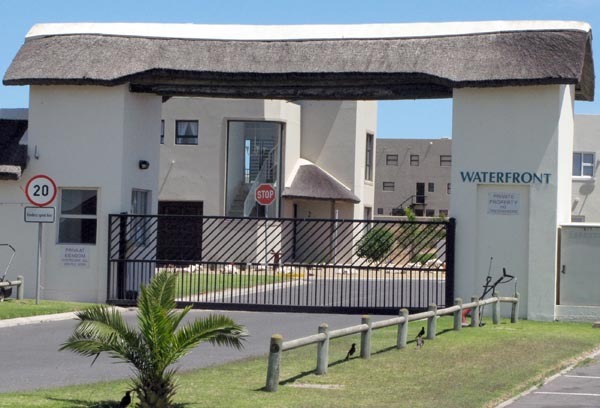 Both are gated security estates but there is access to the lagoon on foot. 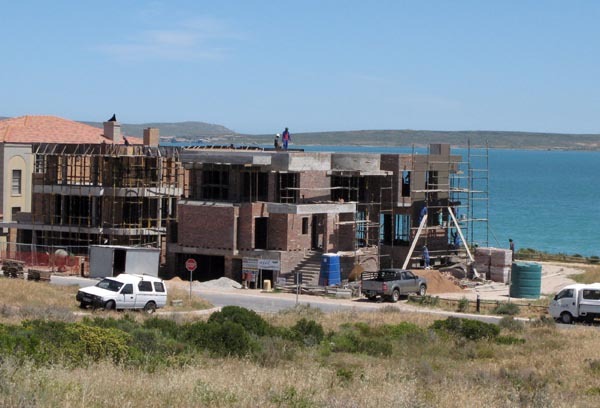 In spite of the financial situation in SA at the moment there are still some pretty big houses going up at Calypso Beach. 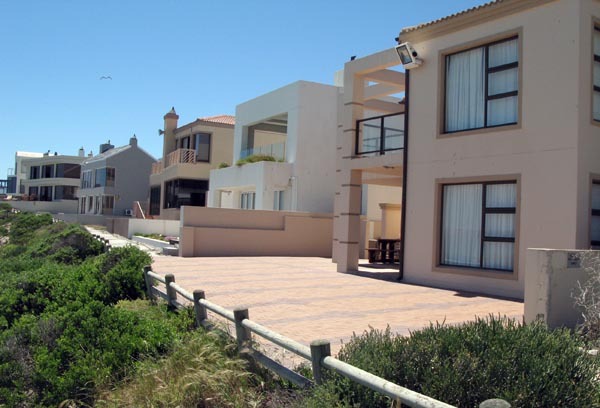 Houses at Calypso that are not right next to the lagoon but have stunning views. The next turn off takes one down to Club Mykonos. 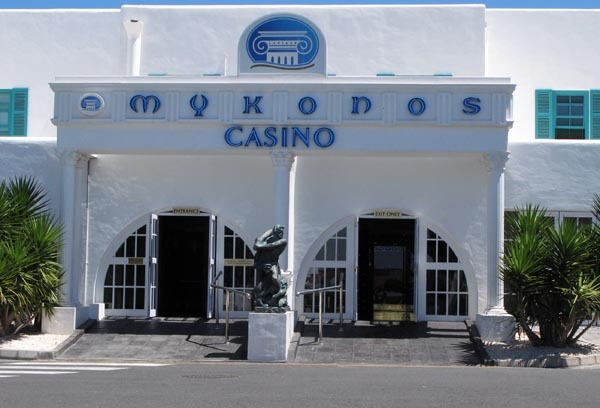 If you are tired of all the water sports and lazing in the sun you can always pop in at Mykonos and try your hand at a bit of gambling! 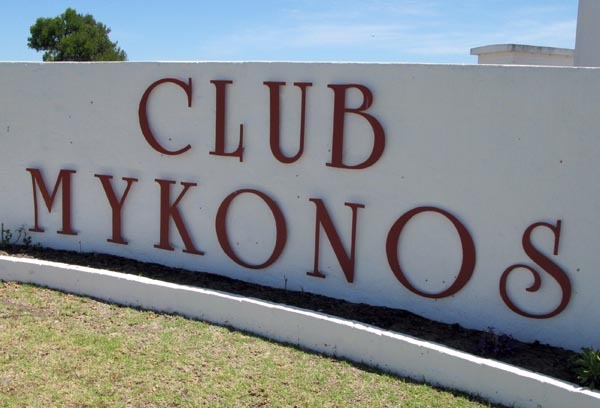 The folks at the Club Mykonos information centre were friendly and informative and also gave me a pass to drive and park anywhere I wanted in the development. I am just going to show a few of the photographs I took so if you want more info please go to this link. Came across these two looking for some kids to take on a donkey ride. There is a really good entertainment programme laid on every day of the week for the youngsters, teenagers and adults. I don’t think one could ever be bored here. 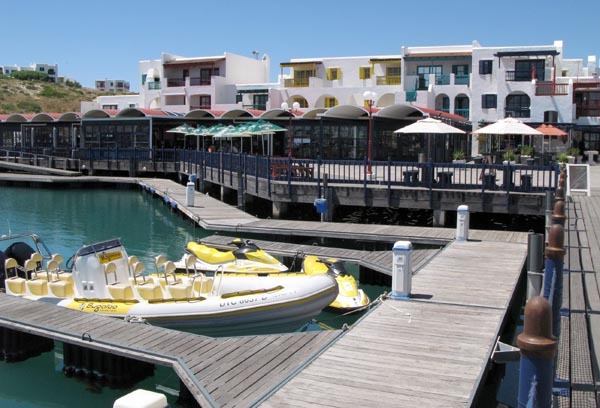 Looking toward the main waterfront area where there are plenty of restaurants, shops, conference centre, boat trip offices and more. 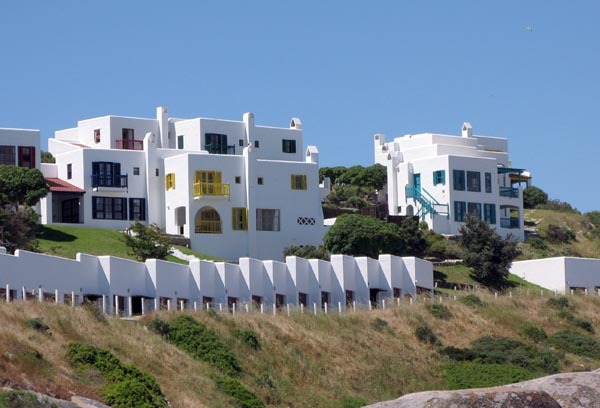 This shot was taking from the north side where new developments taking place at Mykonos called Apollo Ridge and Aegean Heights. 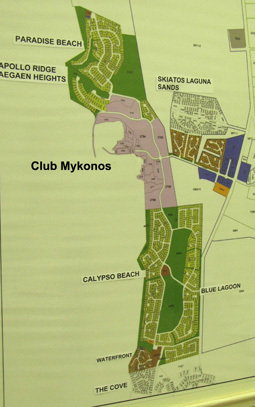 Some of the house in the new development at Mykonos. Saw this structure high up on Apollo Ridge only to find out it is just a cell phone base station. Looking back, with Mykonos in the foreground, at all the developments we have just had a look at. Right at the turn off down to Club Mykonos they have now built a pretty big shopping centre so don’t worry too much if you forget something at home. 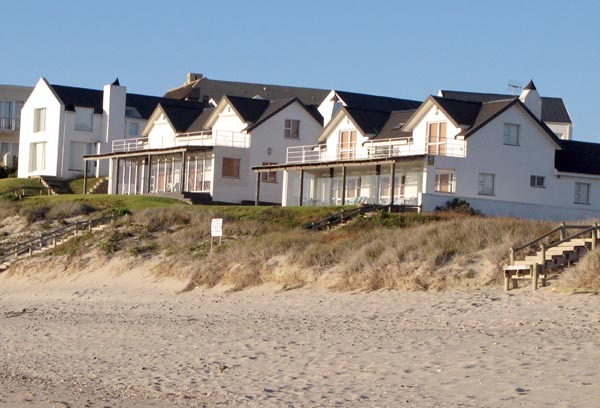 As with all places along the west coast there are some great sea-food restaurants. 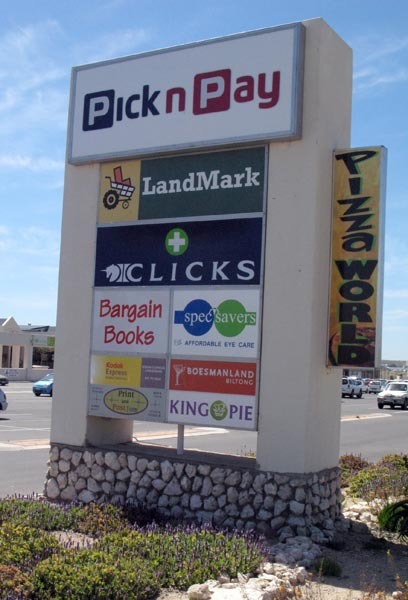 As you can see there is a huge amount happening in and around Langebaan and, from some of the things I have heard, I believe that once the financial situation improves in SA there is going to be massive new development. 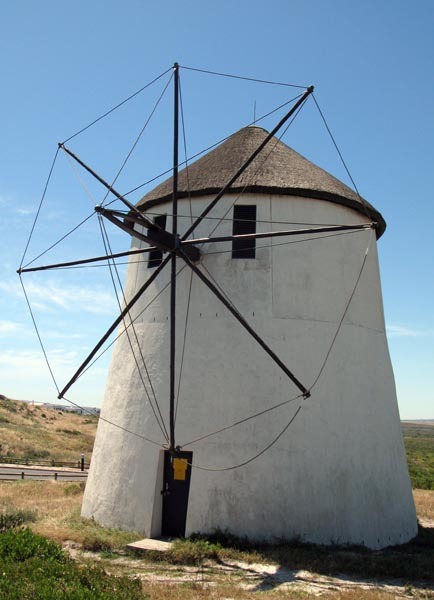 More about that when I do my next post on Leentjiesklip Caravan Park. It’s been so long since I’ve been to Club Mykonos, I spent an amazing weekend there once and have always meant to go back! Thought about that when I was there. I also spent a week-end there along time ago and it was great. 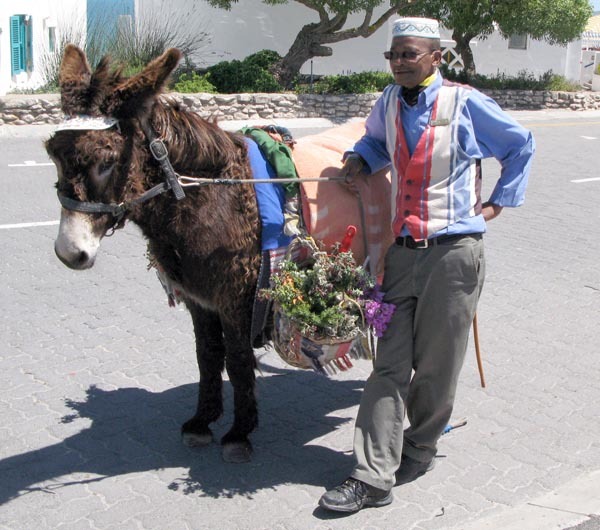 Langebaan is great . Club Mykonos is a lovely establishment.What I wouldn’t give to be on on a beach right now..humph..
I’m going caravaning there in October, but there are so many parks to choose from!